Supreme Court Justice Neil Gorsuch (L) talks with Chief Justice John Roberts (R) on the steps of the Supreme Court. It wasn’t a good enough case for the U.S. Supreme Court to hear, but that didn’t stop Justice Neil Gorsuch from using Scenic America v. Department of Transportation to weigh in on one of his favorite topics: The need to rein in the power of federal bureaucrats effectively to write their own laws. Gorsuch’s views on this topic matters to business, because if the newest Supreme Court justice can win over his conservative colleagues to the cause, federal agencies might lose much of their power to interpret statutes as they see fit. 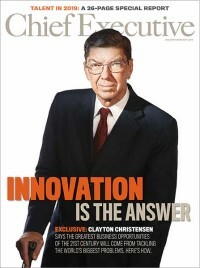 Regulated businesses frequently run up against what is known as the Chevron doctrine when they challenge aggressive federal rules, named after a landmark case in which the Supreme Court decided that courts should give deference to agencies when they interpret ambiguous statutory language. Gorsuch isn’t a fan of Chevron and said as much in a much-noted 2016 decision in which he called agency deference “an elephant in the room” and went on to say “maybe the time has come to face the behemoth.” He sounded a similar tone today in a statement attached to the denial of certiorari, or review, of Scenic America. In the three-page statement, joined by Chief Justice John Roberts and Justice Samuel Alito, Gorsuch agreed this case wasn’t worth the court’s time, but said the underlying question was. Scenic America is a nonprofit that challenged the U.S. Department of Transportation’s interpretation of contracts the agency has promulgated with state transportation agencies across the country, under which states receive federal funds only if they enforce certain rules including billboard restrictions. Scenic America objected to a 2007 “guidance”, which held that the statutory prohibition of “intermittent” or “flashing” lights didn’t apply to signs with LED screens that can display a rotating series of static images. Gorsuch opened in his trademark folksy style: “Say an administrative agency contracts with an outside party. Later the two sides wind up disagreeing.” He goes on to outline the central question, which is whether that agency should be able to interpret the contract, despite centuries of practice in which judges are given the power to determine the precise meaning and effect of contract language. “Of course, courts sometimes defer to an agency’s interpretation of statutory law under Chevron,” he wrote, in a nod to stare decisis, or respect for prior decisions. Even uberconservative Justice Antonin Scalia agreed with Chevron, and no doubt many businesses do, too, because at least it leaves the interpretation of statutes up to agency lawyers who presumably will act above the pressures of day-to-day politics. But recent history illustrates how fragile that presumption is, with the Trump administration rapidly reversing eight years of Obama-era executive orders and agency interpretations of the statutes they operate under. In labor law, particularly, supposedly non-partisan government officials have performed repeated 180-degree turns on issues including overtime pay and the unionization of graduate students. So it’s significant the Chief Justice signed off on Gorsuch’s little shot across the bows of agency deference today. The bit about “assuming (without granting)” the accuracy of the theory underlying Chevron sounds a lot like the preparation for a full-scale assault on that precedent. Gorsuch otherwise limited his agenda to preventing the creep of Chevron into contract interpretation, saying a future case will surely come along to decide that issue. And no doubt he will be keeping his eyes open for another case to chip away at Chevron itself.